The new 20-gauge version of the Remington Model 870™ Express® ShurShot Synthetic Fully Rifled Cantilever was designed to take full advantage of newer, flatter-shooting slugs. So, for our test shoot, we requested the equally new 20-gauge Remington Premier® AccuTip Bonded Sabot Slug. 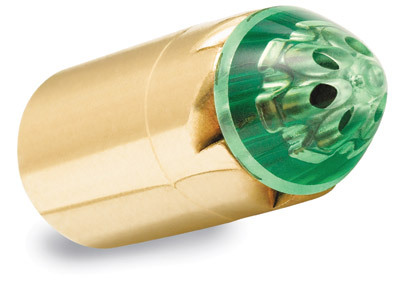 According to company ballistics, the 2-3/4-inch Premier AccuTip (also offered in 3-inch shells) launches its 260-grain polymer-tipped slug at 1,850 feet a second. 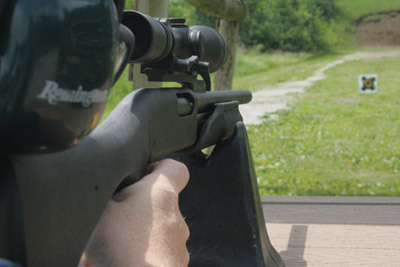 Zero the sights for a long shot at 150 yards, and the flat-shooting load hits just 3.6 inches high at 100 yards, with 1,130 foot pounds of retained energy. To maximize that long-shot potential, the Express ShurShot’s cantilever mount locks the scope directly to a fully rifled barrel; ambidextrous pistol grip provides an exceptionally stable hold. 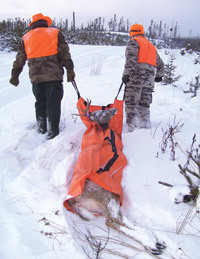 All of our three-shot groups, sighted with a Leupold VX-3 4.5-14x40mm scope, measured less than 2 inches at 100 yards, and the best was right at 1 inch.